Along with serving as Speaker from 2012 to 2015, Zwozdesky headed a number of ministries during his 22 years in politics, including Alberta health and wellness, Aboriginal relations, education and community development. 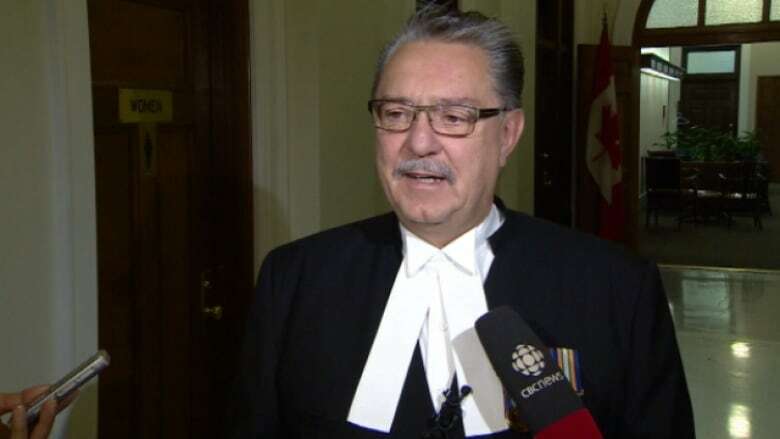 Former Alberta MLA and Speaker of the Legislative Assembly Gene Zwozdesky has died. "He was a good man who served with grace and dignity," said Ric McIver, who served in the Legislature with Zwozdesky and is currently an MLA for the riding of Calgary-Hays. "Gene was really pleasant to work with, easy to get along with. If there was ever a guy who was conversant with a whole bunch of people from a whole bunch of different cultures, backgrounds, languages, religions, Gene was one of the best." First elected in 1993 under the Liberal party banner, Zwozdesky joined the Progressive Conservatives during his second term. He was elected in the riding of Edmonton-Mill Creek six times, eventually losing his seat in the 2015 election. Known for his easy smile and calm demeanour, Zwozdesky had the same personality outside politics, said McIver. "That wasn't an act, that was the real deal, he was that guy," he said. "I don't know anybody who disliked him. He served for a long time, he served in a large number of ministries so there was probably people who might have disagreed with him along the way, that's fair enough, but I'd be surprised if anybody ever disliked him. "He was Mr. Congeniality, he could always see the other person's side of a discussion. He's going to be missed by a lot of Albertans." Current Speaker Robert E. Wanner offered condolences to Zwozdesky's family on behalf of Alberta MLAs. "It was with great sadness that I learned of Mr. Zwozdesky's passing. Anyone who ever met him knows that Gene Zwozdesky was a force of energy who lived every moment to its fullest. He cared deeply about his family, his community and his province. With a distinguished public service career spanning more than 20 years, his never-ending zest for life makes his passing seem almost surreal," said Wanner. "I was so appreciative of his advice and assistance during the transition into my role as Speaker." Derek Fildebrandt, who now leads the Freedom Conservative Party, said even after Zwozdesky lost his own seat in the 2015 election, he went above and beyond to make sure incoming MLAs — from all parties — were shown how things worked. "He didn't expect to lose his seat … and that was obviously difficult, but he composed himself with extreme grace and dignity and went far above and beyond his duties in making sure the rookies … got to learn the ropes," said Fildebrandt, who was part of that rookie class of MLAs. "The usual thing to do would be for him to make sure the paperwork is in order and hit the door and enjoy retirement but he didn't do that. He reached out to us and went so far as to hold an unofficial, almost model-Parliament, as if we were students, session of the Legislature to learn how the thing works. "Even teaching us how to heckle politely and come with a good comeback. He did it all weeks after losing an election which would have been a very difficult time." Along with serving as Speaker from 2012 to 2015, Zwozdesky headed a number of ministries, including Alberta health and wellness, Aboriginal relations, education and community development. Prior to getting involved in politics, Zwozdesky was a teacher and musician, performing with the Ukrainian Shumka Dancers based in Edmonton before becoming the group's music director. As the former Speaker, Zwozdesky's portrait was unveiled in the Legislature in 2016. Many tributes to Zwozdesky were posted to social media. I remember how he sometimes struggled to champion decency and civility in the legislature. I remember when I was covering the <a href="https://twitter.com/hashtag/ableg?src=hash&amp;ref_src=twsrc%5Etfw">#ableg</a> during the Bill 44 debate, and how he agonized between loyalty to the party line and pushing for greater acceptance of LGBQT rights. Zwozdesky died the same weekend as another Alberta politician, former MP and former Sundre Mayor Myron Thompson.